As the snow falls on our neighbours in the southern parts of Alberta, it reminds us that the holiday season is just around the corner. These autumn days and weeks seem to fly by at a speed that is (in the voice of Vizzini from The Princess Bride) "Inconceivable!" I can feel the energy pick up from my small and colourful den of creativity. Commission requests come in almost daily. To be honest, I'm almost at the point that I'll be unable to commit to completion in time for Christmas. In between volunteer commitments, charity projects and a growing list of current requests, time is going to be in short supply. A couple of things to think about when it comes to the gift giving season ahead. You can look through my online catalogue of paintings and custom order a canvas print of almost any of them. 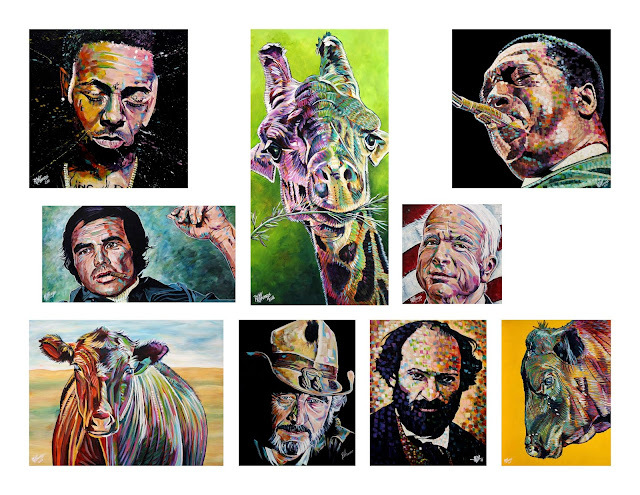 Of the over 900 paintings, only 3 are unavailable because they were offered as limited edition prints and they sold out. There is something extra special about gifting a Russell Thomas original. The price point is a little higher, but you would be giving something absolutely one-of-a-kind. The prices on these originals range from $350 to $700. If one catches your eye, don't hesitate to get in touch. These are the only originals that are available right now. There are only nine. Someone once shared with me that they went to their local grocery store to get a greeting card for a birthday or anniversary. They paid between $5 - $6. 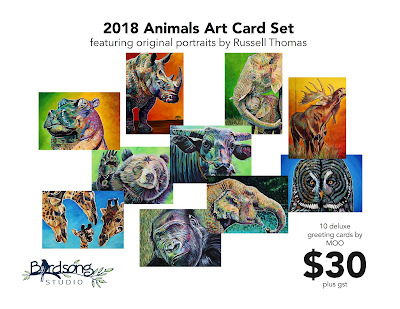 The art cards that we sell in sets end up being $3 each. Whether you would like to gift a set as a gift or use them to connect with people, all you have to do is click here to order yours. If we can contribute to your holiday gift giving adventures, we'd be honoured to do so.